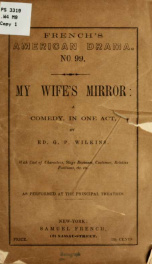 Read online "...My wife's mirror: a comedy, in one act" by Wilkins, Ed. G. P. (Edward G. P.), d. 1861. Instant free e-book download at OnRead.com.